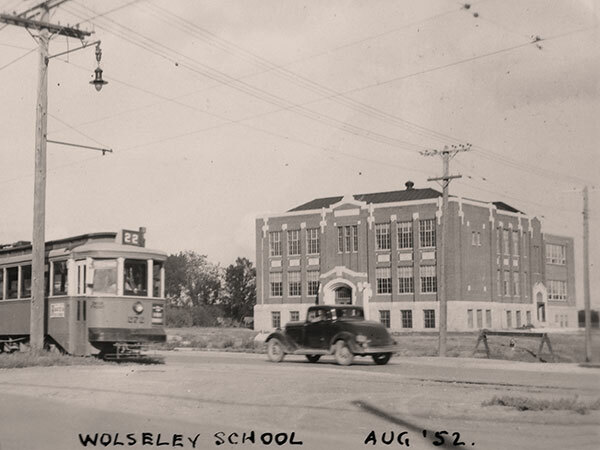 Named for British military commander Garnet J. Wolseley, the Lord Wolseley School building was constructed in 1915 with six classrooms, at the same time as Salisbury School and Lord Kitchener School. Secondary education in the East Kildonan area began in 1921 when the Winnipeg School District advised the local school board that it was not longer able to accept secondary students. 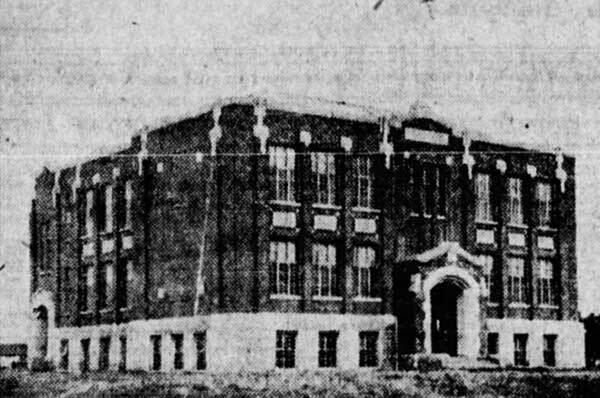 For a year, classes were held in the Prince Edward School, which had opened in the fall of 1920. 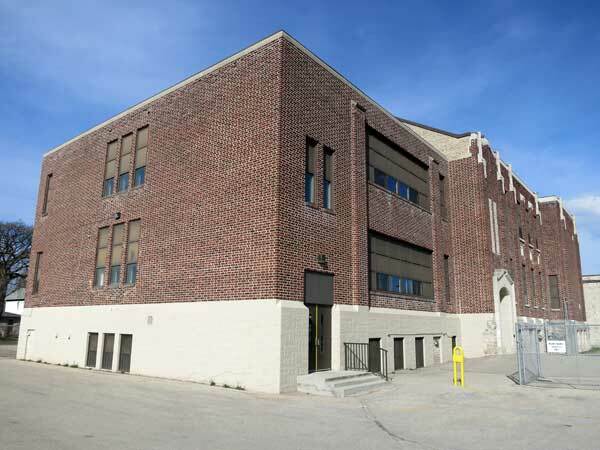 By the fall of 1927, overcrowding caused the classes to be relocated into Lord Wolseley School, where they remained until 1952, when the Miles Macdonell Collegiate building was constructed at its present location. In October 1953, the school inaugurated the first school zone speed sign in Manitoba at the corner of Henderson Highway at Leighton Avenue. Source: “East Kildonan boasts of fine schools,“ Winnipeg Tribune, 23 September 1922, page 19. Source: Archives of Manitoba, George Harris Fonds, Acc. 1979-141, P7452, Album 17, Page 41. “East Kildonan,” Winnipeg Tribune, 31 August 1921, page 6. “East Kildonan boasts of fine schools,” Winnipeg Tribune, 23 September 1922, page 19. “East Kildonan school bell to call scholars Sept. 6,” Winnipeg Free Press, 24 August 1949, page 3. “E. Kildonan school staffs,” Winnipeg Free Press, 29 August 1952, page 7. [Photo caption], Winnipeg Free Press, 23 October 1953, page 22. “Principal traded cards with kids,” Winnipeg Free Press Weekly Northeast Edition, 25 June 1989, page 1. A History of the East Kildonan Collegiate 1921-1952 by Jim Smith. We thank Jim Smith, Nathan Kramer, and Kris Templin for providing additional information used here.